CHANTEL:(lead hair stylistst) I have been in the beauty industry since 2007 and I have been with soulstice since 2009. I am a Licensed Cosmetologist and Master Esthetician. I absolutely love what I do and am very passionate about it. It is incredible to be able to increase people’s self esteem and it is what drives me to do my very best every day. It’s amazing the wonderful people I have met and the opportunities I’ve had to interact with them throughout my time in this industry. I am a color expert, I continue to develop my skills and knowledge by going to regular trainings and classes to stay up to date on the latest trends. KASEY (lead hair stylist): Life is GREAT! I am so lucky to work in such a beautiful place with such beautiful people. I love what I do, and to see new faces and help them feel their prettiest! (or most handsome) As a cosmetologist, I have enjoyed doing hair and nails for just over six years. I have managed multiple hair salons in the past 3 years, and love being a Manager here at the Spa! The employees here make it easy to manage, and we work hard to make sure we have a drama free zone! It is my goal to make sure each client that walks in the door feel nothing but a peaceful environment. One that leaves you feeling rejuvenated and ready to take on the world! MISTY: I am a hair stylist here at soulstice. I went to Paul Mitchell the School and graduated in March of 2014. I love the processes of coloring and cutting hair, the amazing difference it can have on your style and the way you feel after is why I chose this as my career. I have the best man that supports me in all I do and together we have a beautiful daughter who is my whole world. I am truly blessed. I have the best family, both at home and at The Spa Club. I would love the chance to make you feel at home here and also to make you feel and look amazing! HEATHER H.: I have been a stylist since 1999 and am well versed in cutting, styling and coloring. I love to keep updated on new trends, am detail oriented and quick. I strive for perfection with each guest. In my free time I enjoy hanging out with my children outdoors and love riding my motorcycle any chance I get. Marie (LEAD ESTHetician) graduated from the National Institute of Medical Aesthetics with a Master Aesthetican license. She has over 15 years of experience in the spa industry. Her goal has always been to first, educate her clients on the differences between industry fads and individual skincare. Marie accomplishes this by working with every client to develop a plan of action in order to achieve the desired result. Marie's passion, experience, and work ethic for her craft continues to set her apart as an industry leader. 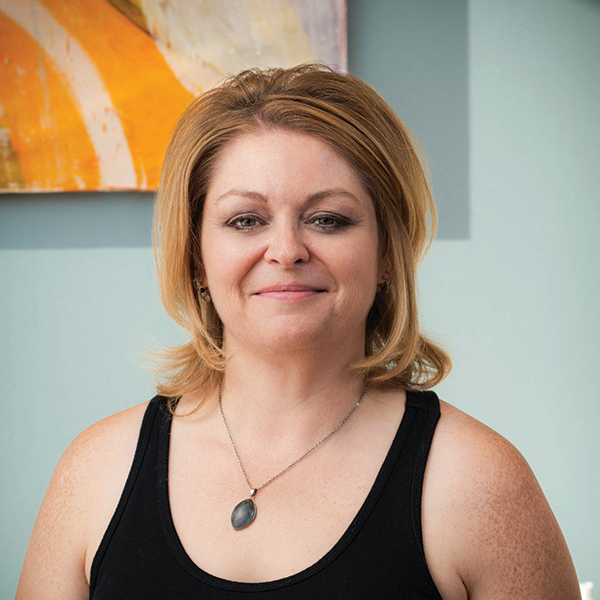 GINGER (LEAD ESTHETICIAN): I have been a Master Esthetician since 2010. I enjoy the artistic side with makeup and nail art, as well as the visible results that can be achieved with cutting edge treatments and ingredients. I am an “ingredient fanatic” and love learning about breakthrough ingredients and products. I love making that visible difference. My passion for what I do shows through not only in the results achieved with my clients, but also the connections I build with them. BRANDI: I have been with soulstice since February 2012. I am a self proclaimed "beauty product junkie". My passion for skin care makes my job an enjoyable experience each day. I believe that investing in our skin is an investment that lasts a lifetime. From facials, chemical peels and waxing to manicures and pedicures, I take pride in each treatment I perform. When I am not at work I enjoy traveling, reading and watching any Audrey Hepburn movie. CHANTEL: I have been in the beauty industry since 2007 and I have been with soulsticesince 2009. I am a Licensed Cosmetologist and Master Esthetician. I absolutely love what I do and am very passionate about it. It is incredible to be able to increase people’s self esteem and it is what drives me to do my very best every day. It’s amazing the wonderful people I have met and the opportunities I’ve had to interact with them throughout my time in this industry. I am a color expert, I continue to develop my skills and knowledge by going to regular trainings and classes to stay up to date on the latest trends. Tara: I have been a licensed Master Esthetician since 2004. I cherish the friendships I have built over the years with my clients. There is something very rewarding about being able to educate a guest about their skin and overcome any issues. I love seeing my guests leave more confident and with a higher self esteem than they came in with. I am very passionate about the work I do, and love spending the time with each guest to make their experience phenomenal. 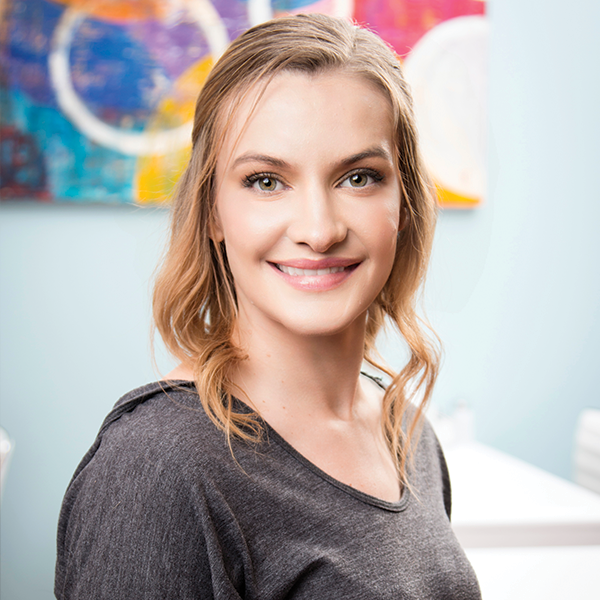 JULIE: I graduated Esthetician School in 2008 and have been working at soulstice since May 2009. I enjoy doing all the services we offer in esthetics, especially in skin care and makeup. I believe in the "less is more" approach and think that your face is the first thing that the world sees, you wear it all day long, and will have it the rest of your life. Its important to take care of it! 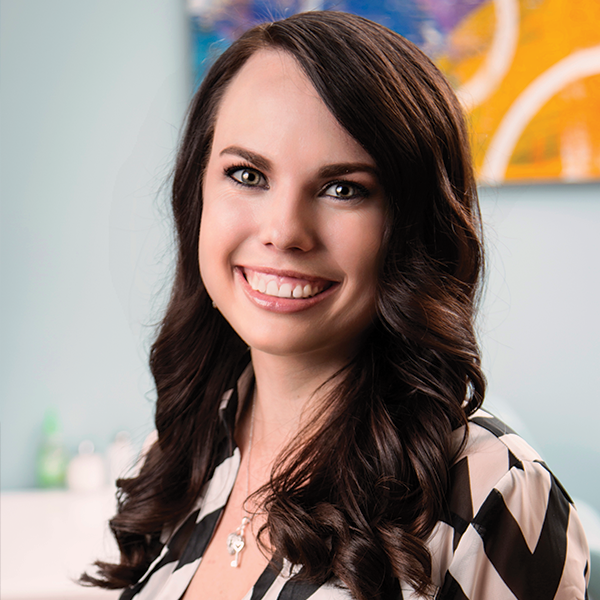 MCKENZIE:I feel my biggest strengths are my knowledge of services and products to enhance each guest's beauty. My goal is for each guest to leave the spa feeling pampered and important. I love helping people get on the right plan for their skin type and simply feeling better and more beautiful. I want to help others love their skin by giving them the tools and information along with the services to help them feel healthy and radiant. When I'm not working I love traveling, reading and watching movies with my boyfriend and family. DORALIZ: I graduated from the National Institute of Medical Aesthetics in April 2017. I have an outgoing personality that helps me to effectively identify and address my clients needs and concerns. I enjoy educating all my clients on services and products that we offer. I love making people feel beautiful and comfortable in their skin. On my free time I enjoy going to the gym and spending it with my son. I'm also fluent in Spanish. Clarissa (lead massage therapist): I’ve been a Massage therapist since 2002. My passion is natural healing and helping people feel better. With my experience working in day spas and chiropractic clinics it brings the best of both worlds into my sessions, creating a nurturing therapeutic experience. Along with Swedish massage, my specialties are, Maternity Massage, Deep Tissue and Injury. I also have experience with Reiki and Aromatherapy.. When I’m not working, I enjoy watching a good soccer game, getting lost in a book, playing in the mountains and spending as much time as possible with family and friends. 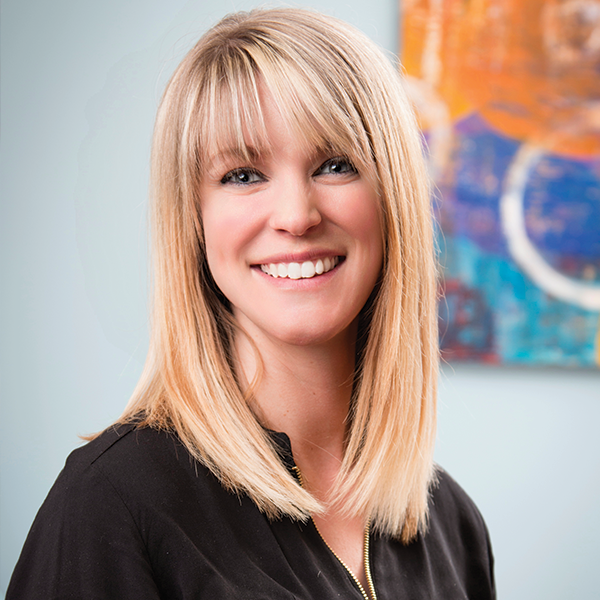 Heather P.: I graduated from Utah College of Massage Therapy in Salt Lake City on October 12, 2012. I started working at The Spa Club on November 12, 2012 and have been doing massage ever since. Massage is my passion and I love to help people relax, relieve pain and feel better. Playing sports I have suffered tight, pulled and sore muscles. Knowing how uncomfortable and painful that feels I try my best to help my clients feel some comfort with their daily lives. Gimmie: I attended Utah College of Massage Therapy and graduated fall of 2013. I started at The Spa Club June 2015. I love to do slow deep work on my clients to help them relax with every stroke. In my spare time I LOVE to spend time with my family (especially my daughter), and playing sports. During the spring and summer time my brothers and I like to travel and play in softball tournaments. KASEY: LIFE IS GREAT! I AM SO LUCKY TO WORK IN SUCH A BEAUTIFUL PLACE WITH SUCH BEAUTIFUL PEOPLE. I LOVE WHAT I DO, AND TO SEE NEW FACES AND HELP THEM FEEL THEIR PRETTIEST! (OR MOST HANDSOME) AS A COSMETOLOGIST, I HAVE ENJOYED DOING HAIR AND NAILS FOR JUST OVER SIX YEARS. I HAVE MANAGED MULTIPLE HAIR SALONS IN THE PAST 3 YEARS, AND LOVE BEING A MANAGER HERE AT THE SPA! THE EMPLOYEES HERE MAKE IT EASY TO MANAGE, AND WE WORK HARD TO MAKE SURE WE HAVE A DRAMA FREE ZONE! IT IS MY GOAL TO MAKE SURE EACH CLIENT THAT WALKS IN THE DOOR FEEL NOTHING BUT A PEACEFUL ENVIRONMENT. ONE THAT LEAVES YOU FEELING REJUVENATED AND READY TO TAKE ON THE WORLD! CHANTEL: I HAVE BEEN IN THE BEAUTY INDUSTRY SINCE 2007 AND I HAVE BEEN WITH THE SPA CLUB SINCE 2009. I AM A LICENSED COSMETOLOGIST AND MASTER ESTHETICIAN. I ABSOLUTELY LOVE WHAT I DO AND AM VERY PASSIONATE ABOUT IT. IT IS INCREDIBLE TO BE ABLE TO INCREASE PEOPLE’S SELF ESTEEM AND IT IS WHAT DRIVES ME TO DO MY VERY BEST EVERY DAY. IT’S AMAZING THE WONDERFUL PEOPLE I HAVE MET AND THE OPPORTUNITIES I’VE HAD TO INTERACT WITH THEM THROUGHOUT MY TIME IN THIS INDUSTRY. I AM A COLOR EXPERT, I CONTINUE TO DEVELOP MY SKILLS AND KNOWLEDGE BY GOING TO REGULAR TRAININGS AND CLASSES TO STAY UP TO DATE ON THE LATEST TRENDS. NICKI LUCK: Hello, and Welcome! As the owner of Soulstice Day Spa & Salon I genuinely want to bring an oasis of beauty, relaxation and wellness to our community. I came in to this industry after a long career as a CPA, and know the toll that a stressful daily life can take on our whole beings. I have always been passionate about natural wellness, and yet even as I worked and lived my daily life those stresses overtook the longing to be balanced and well. It’s very important to me that each guest who passes through our doors receives the highest quality experience and leaves feeling renewed. I feel very blessed to work with our talented staff, as they too believe in the healing benefits of self care. Their professionalism and passion for what they do inspires me on a daily basis. I have been moved by the genuine connection between our staff and our guests. It feels like family. My hope is that when you visit us you will leave feeling like family as well.